This beautiful kitchen in Delray Beach includes brand new custom wood shaker cabinets in white with quartzite countertops. 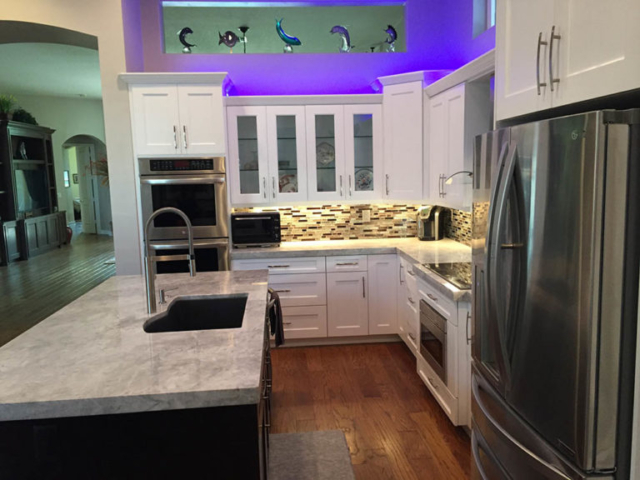 The glass mosaic backsplash helps balance the white with a pop of color, as does the espresso island. LED lighting is featured interior cabinet with glass doors, as well as for the upper cabinet and under cabinet lighting. 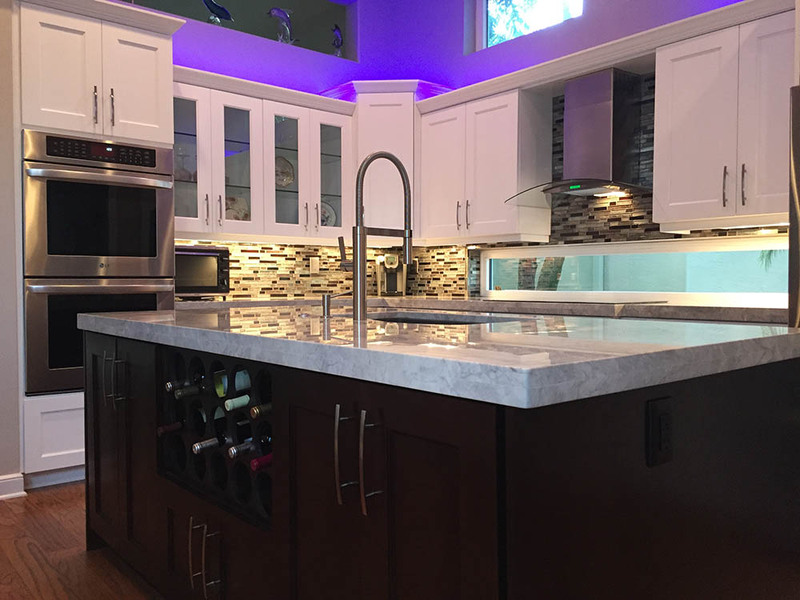 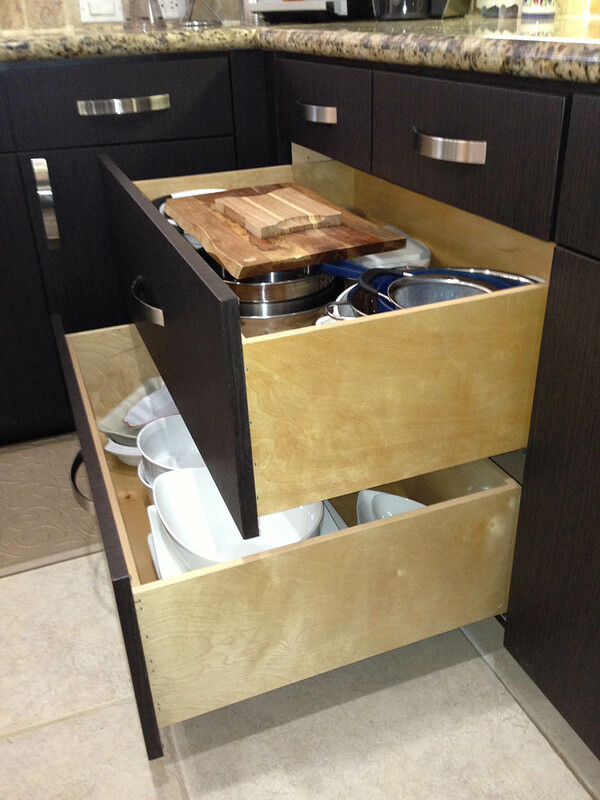 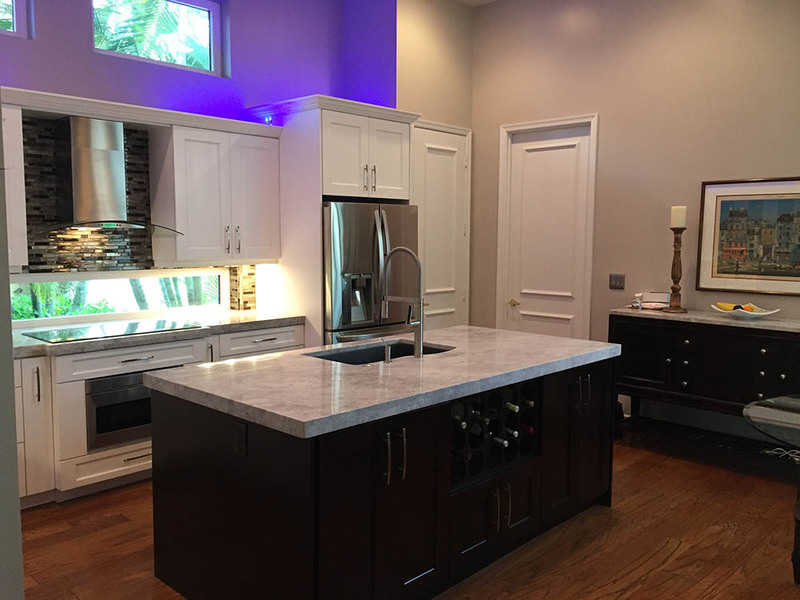 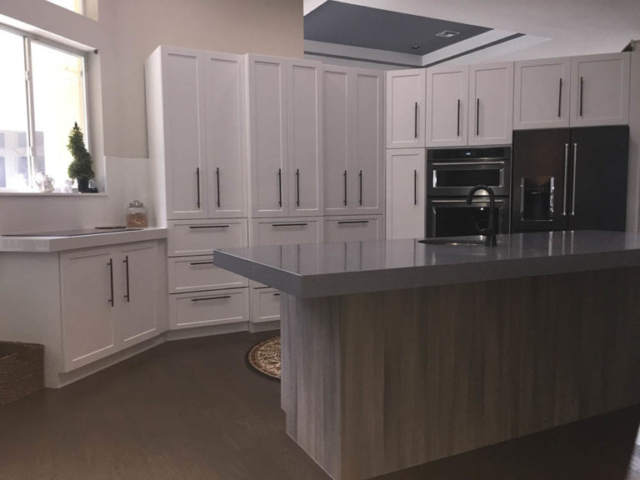 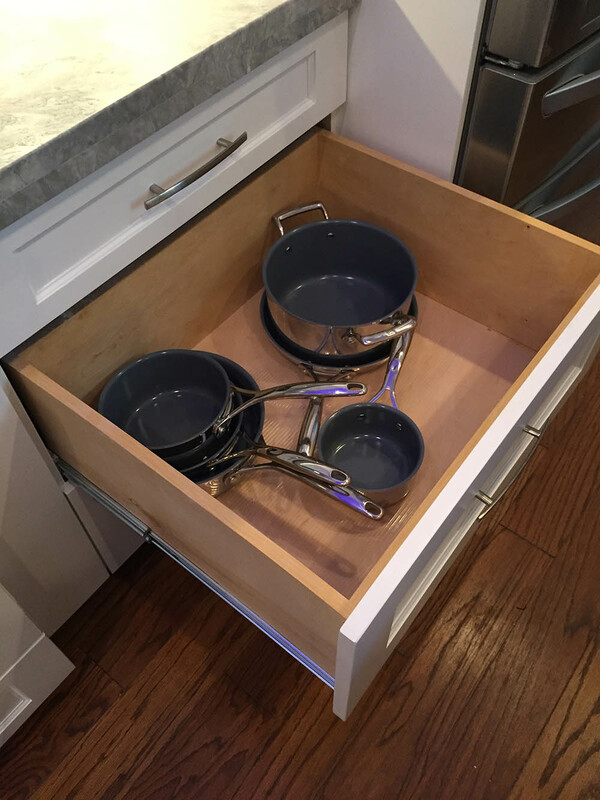 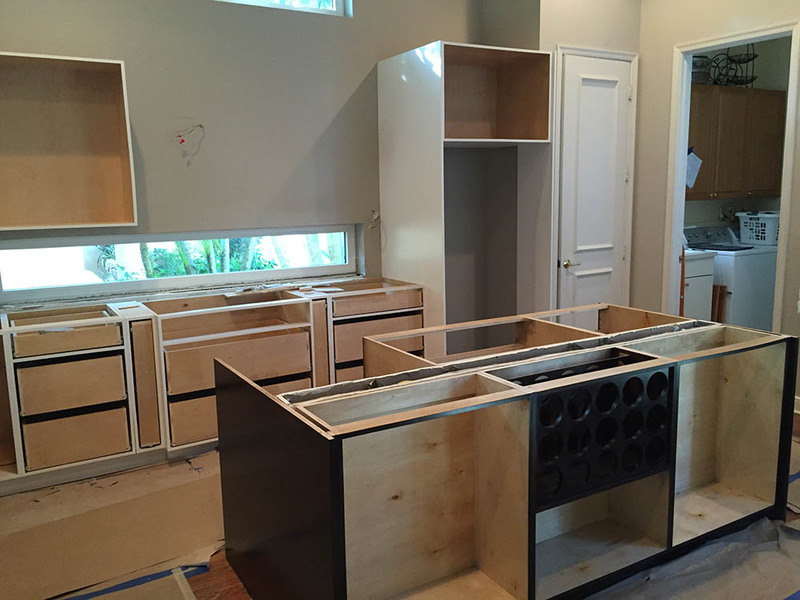 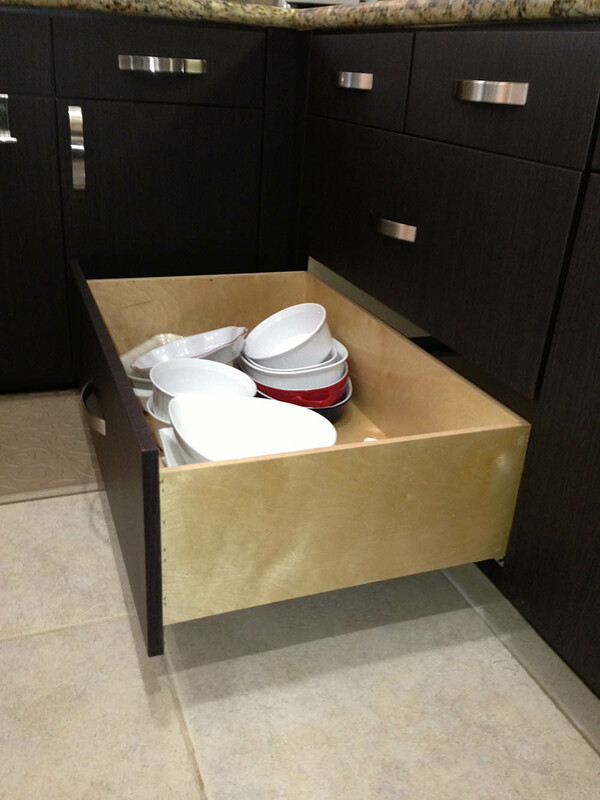 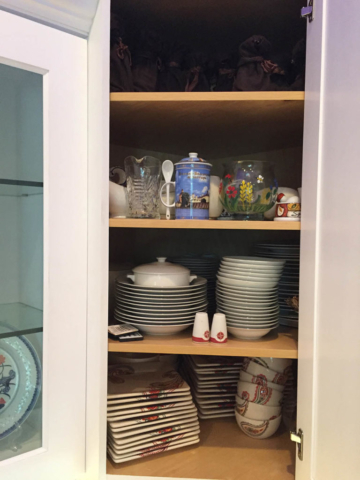 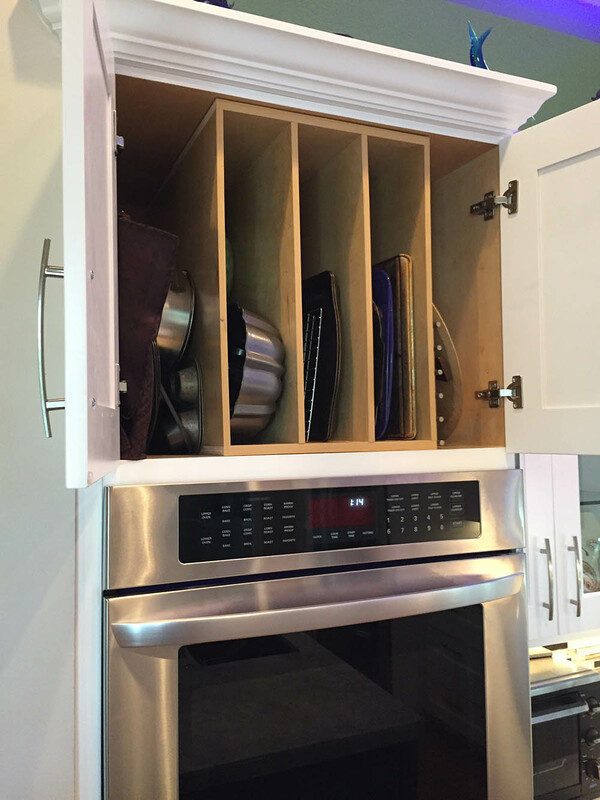 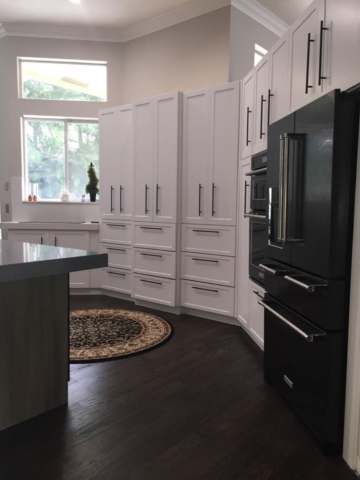 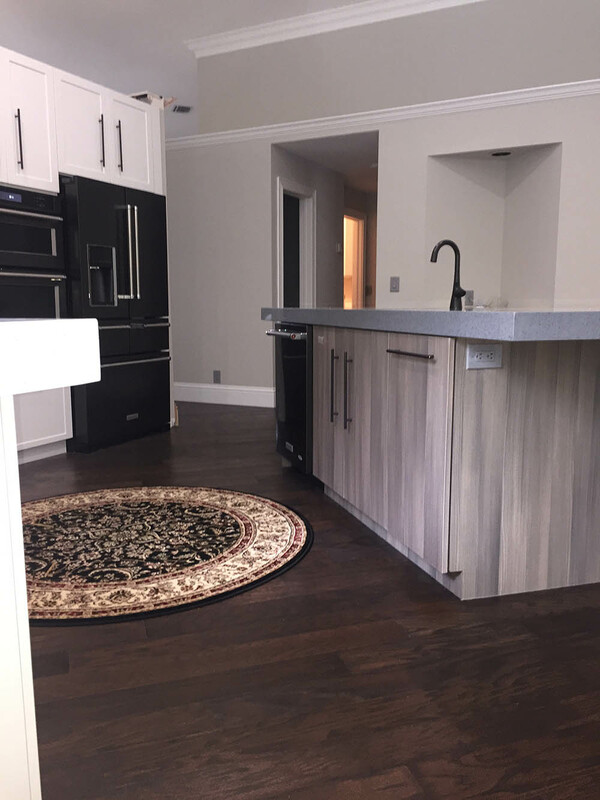 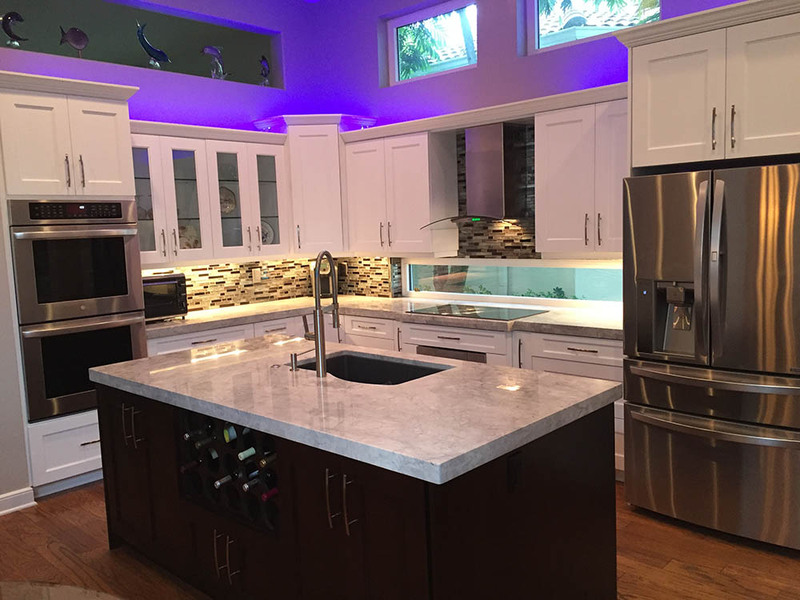 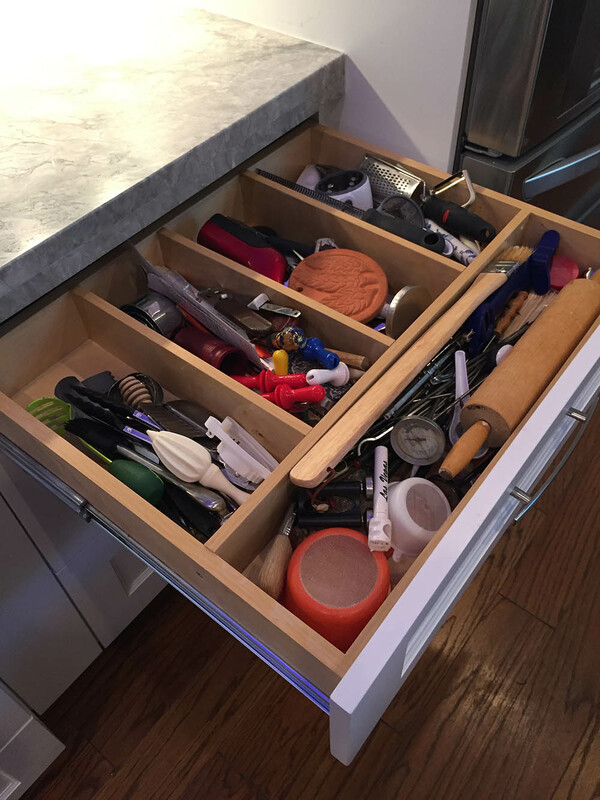 The homeowner also selected upgraded storage options, including bakeware racks, deep drawers for pots and a custom wine rack built into the island. This kitchen update lead to a complete home renovation to create a more useful, open and welcoming space for the kitchen. 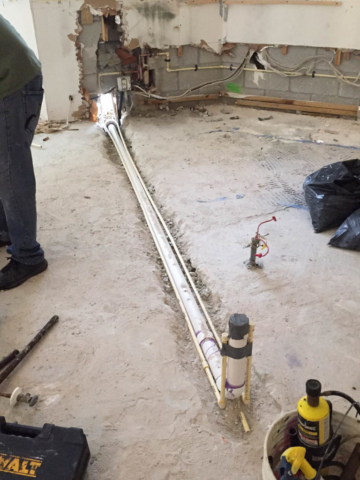 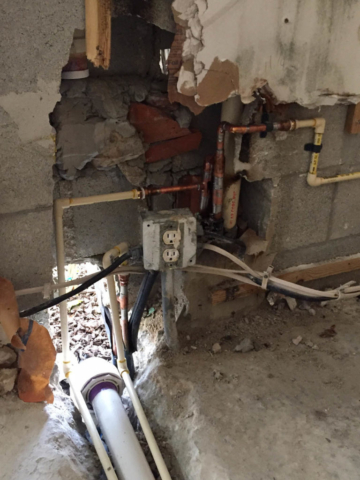 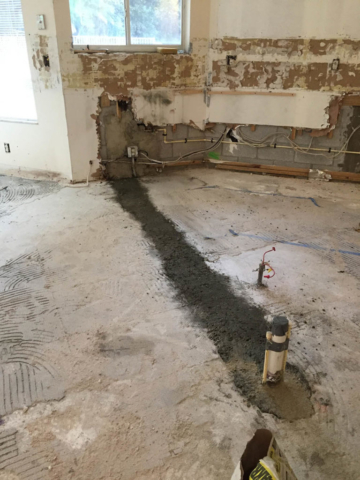 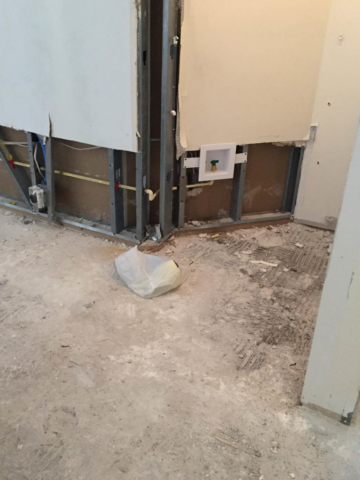 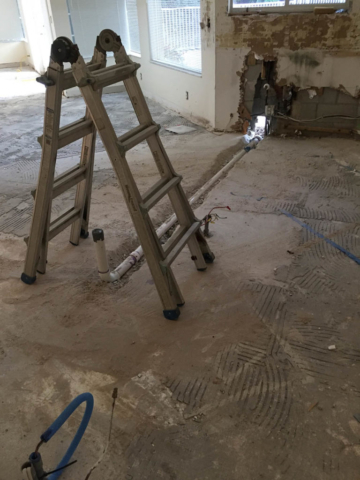 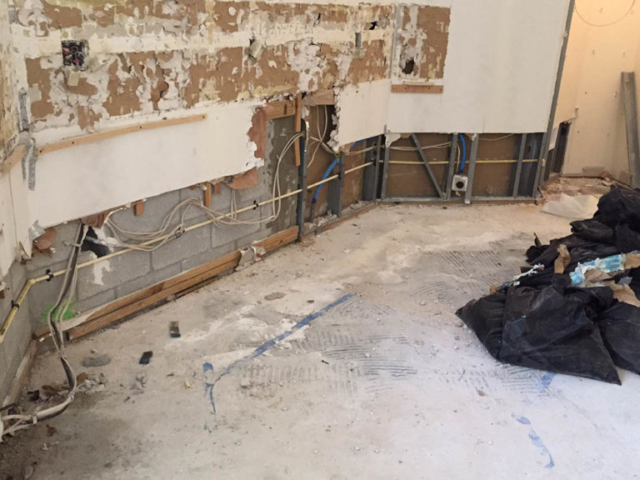 This project required retrenching the water drain so we could move the sink, and a significant rewiring of the electrical. 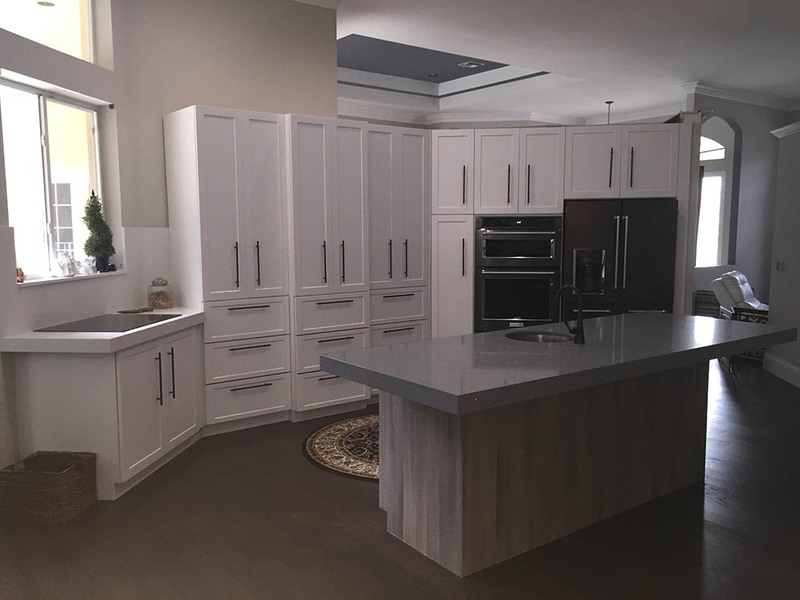 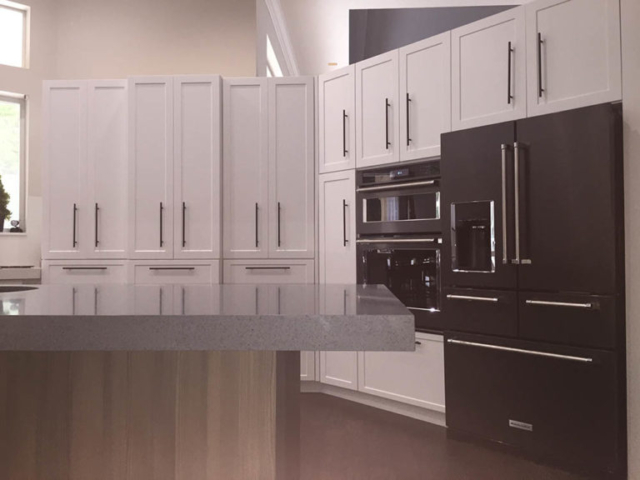 The beautiful new space shows off white contemporary cabinets and a slab countertop for the island. 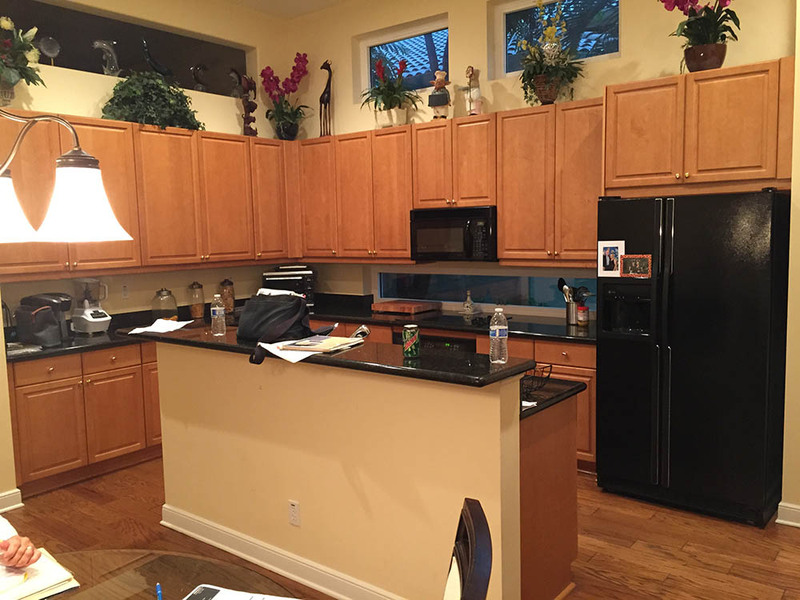 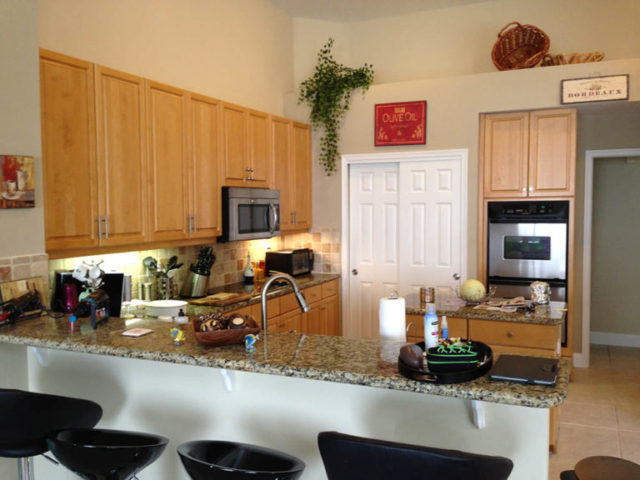 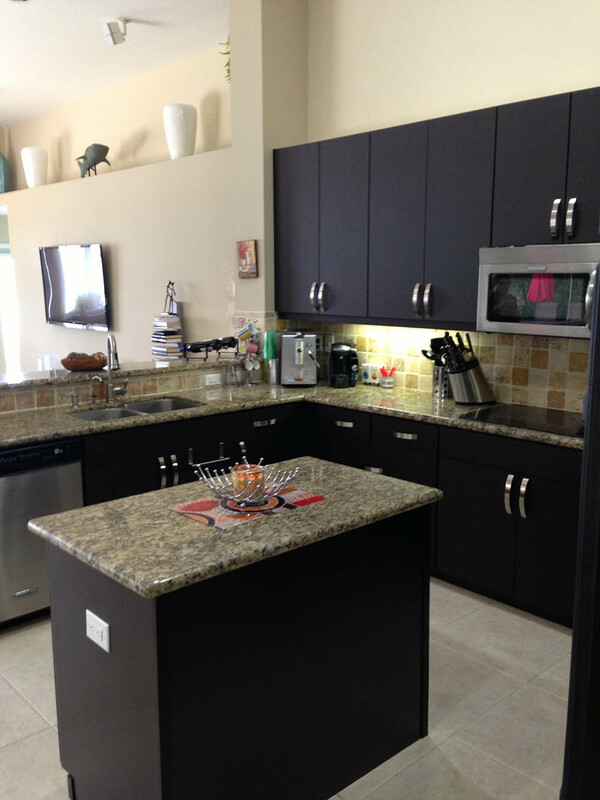 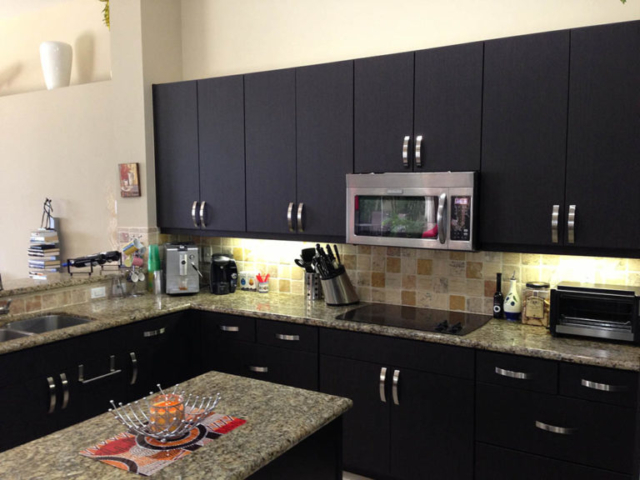 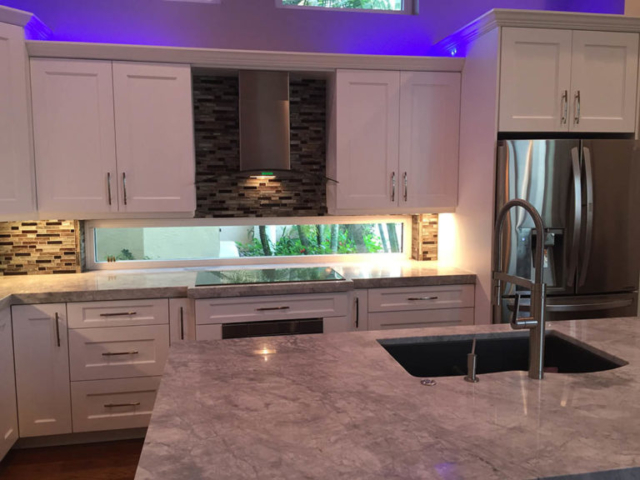 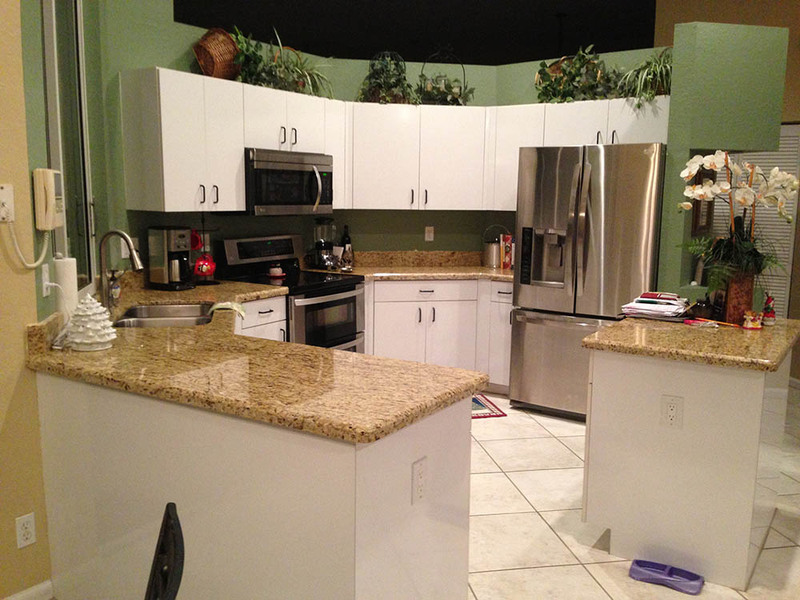 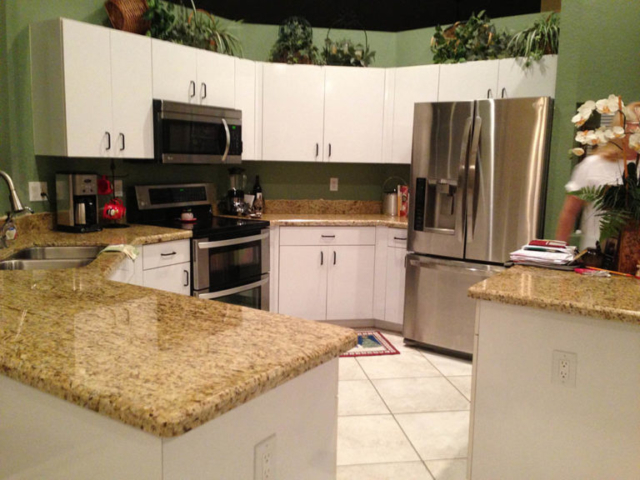 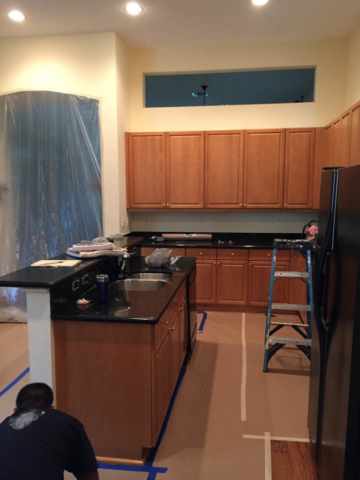 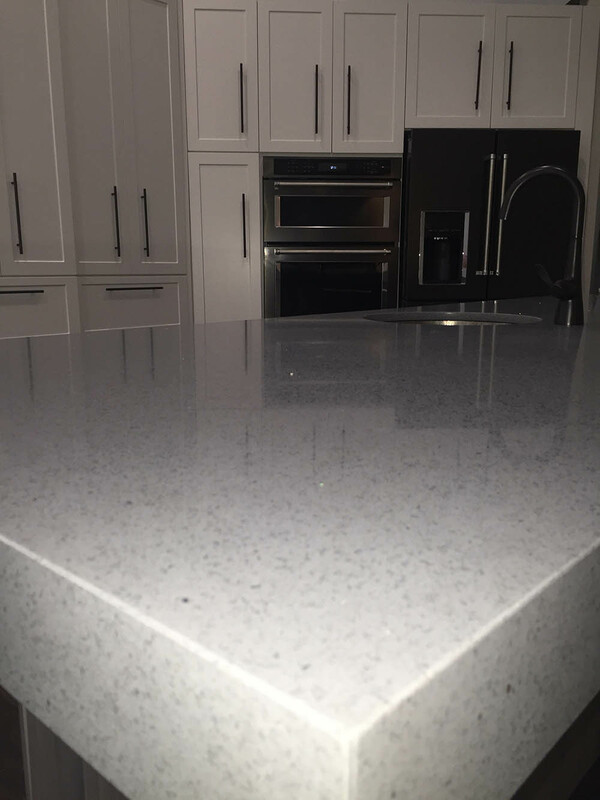 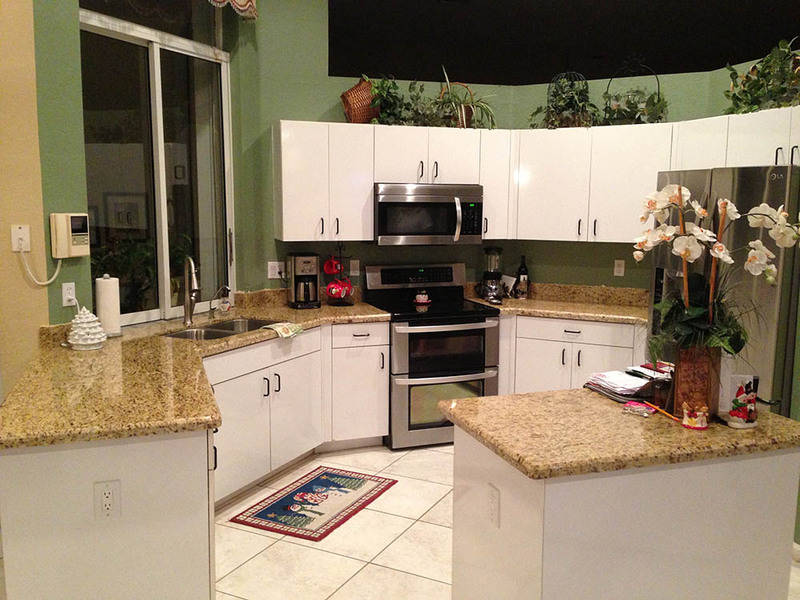 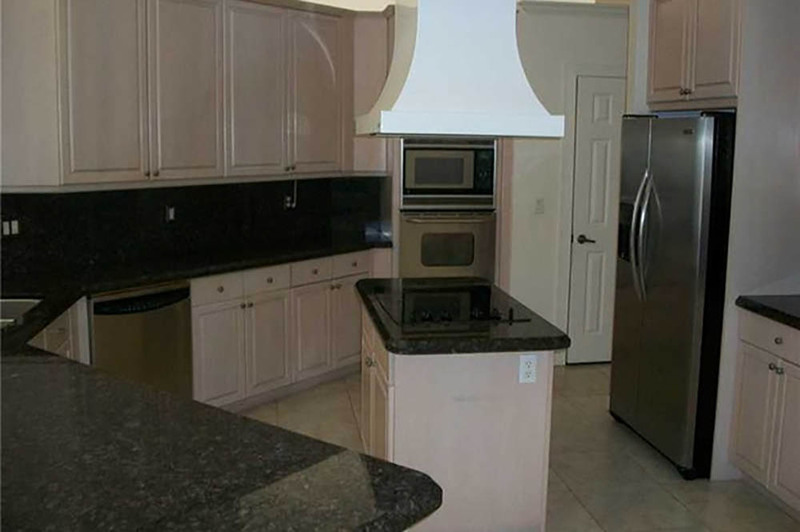 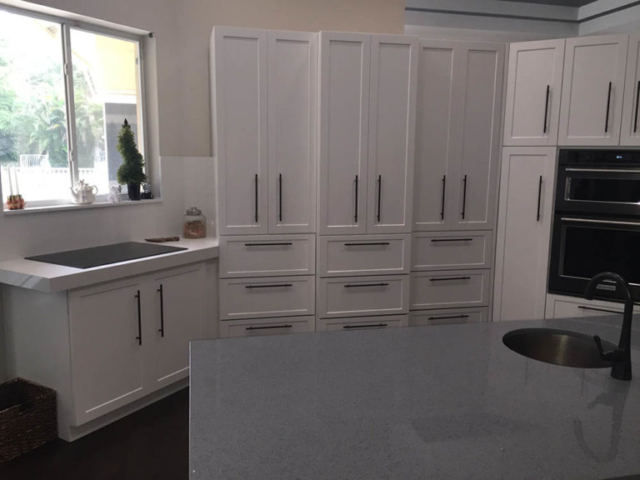 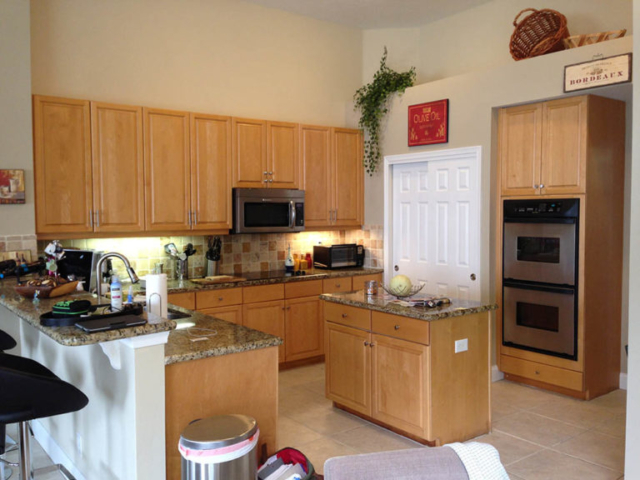 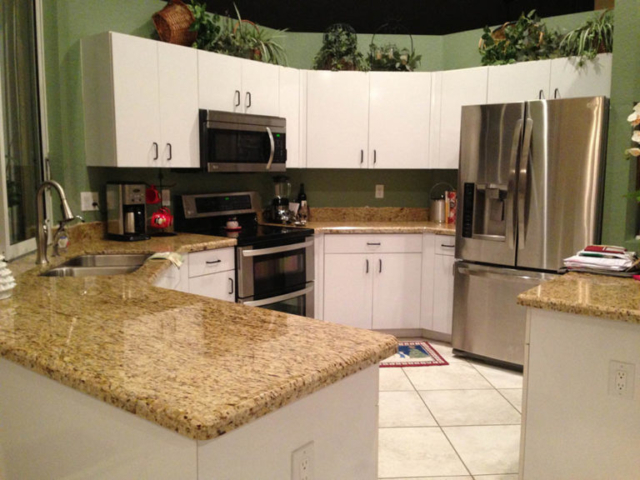 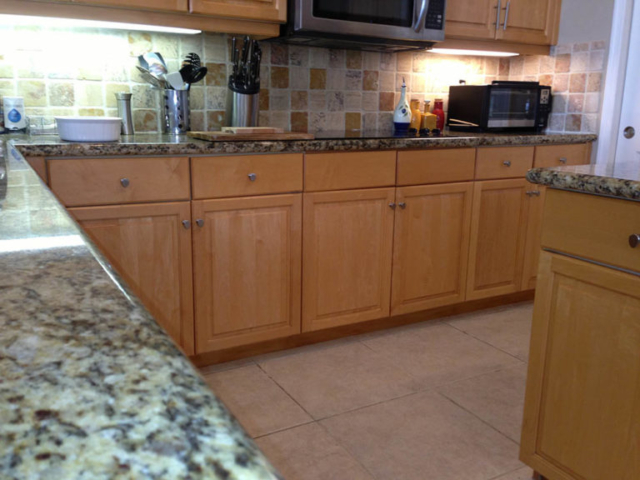 This kitchen cabinet refacing in Weston makes a huge difference in terms of style and impact over the original cabinets, allowing the existing granite countertop to shine in the design. It also brings to life the tile backsplash that was getting lost with the old color scheme. 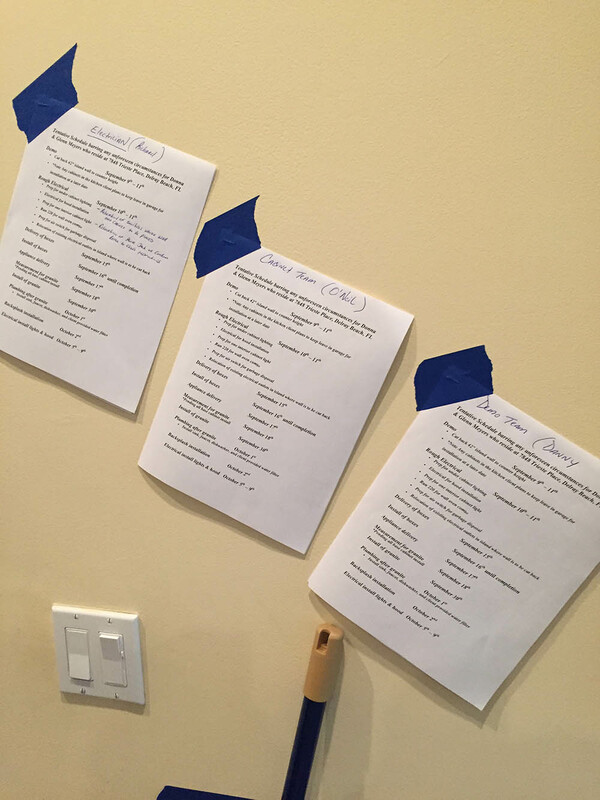 We added a custom pantry door to match the espresso color scheme and complete the look. 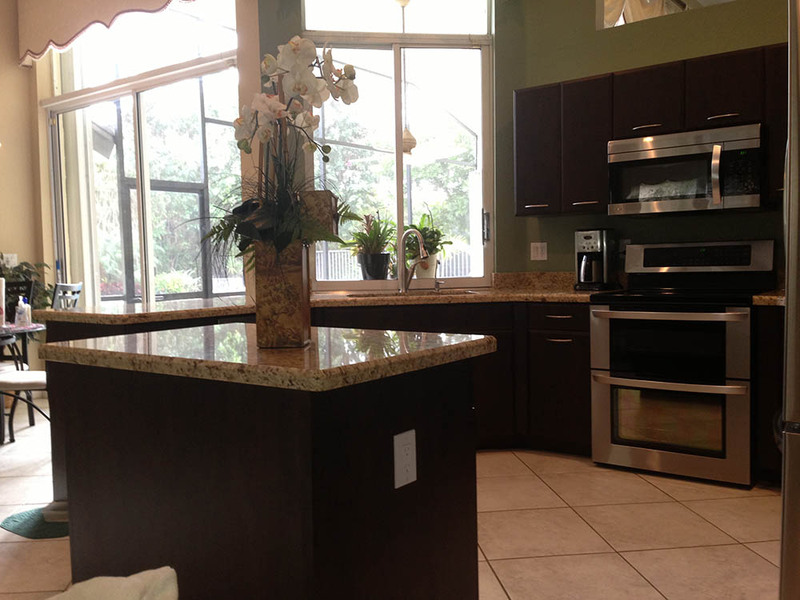 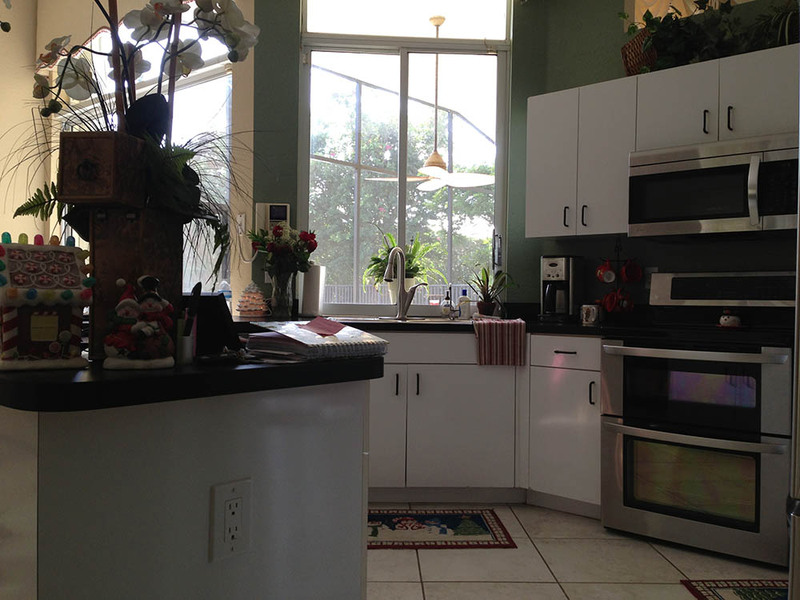 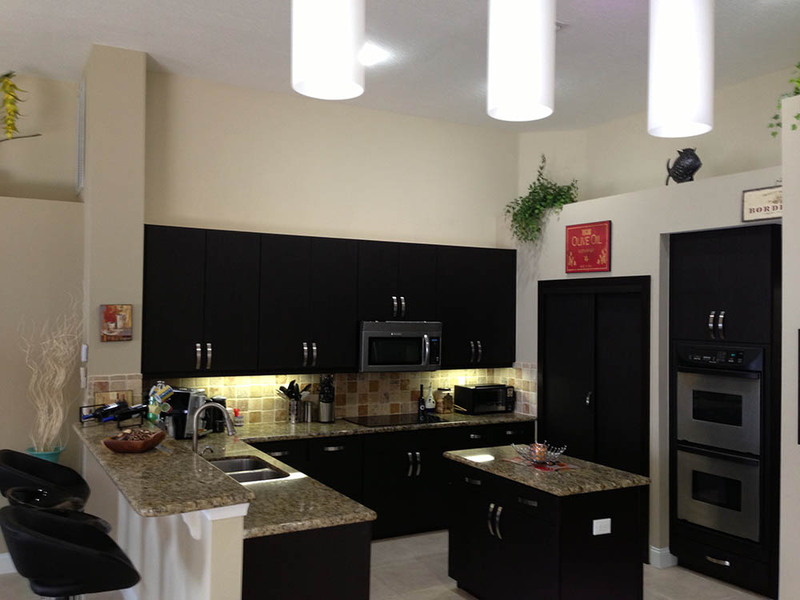 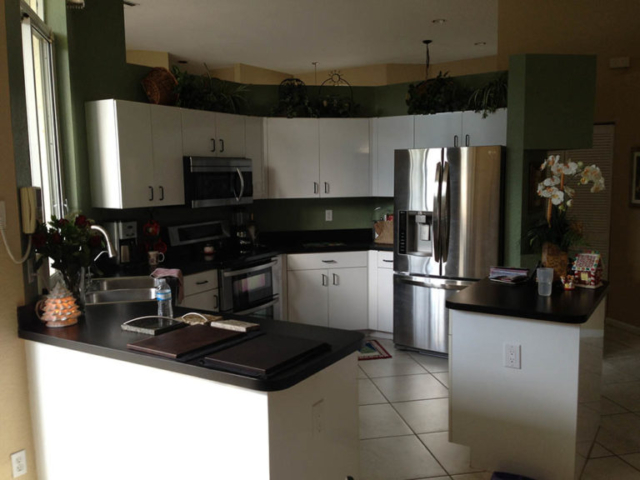 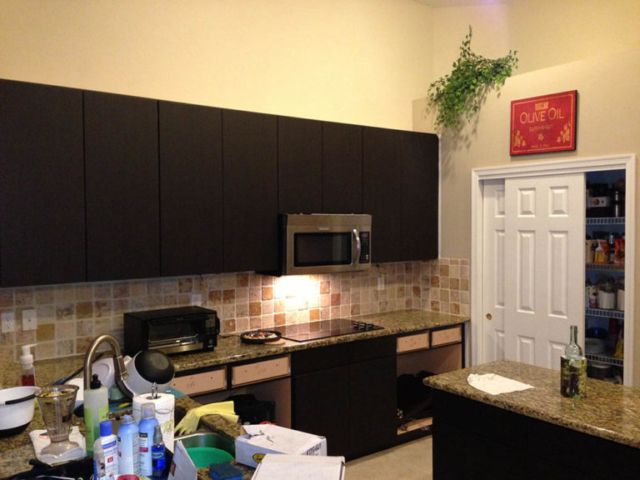 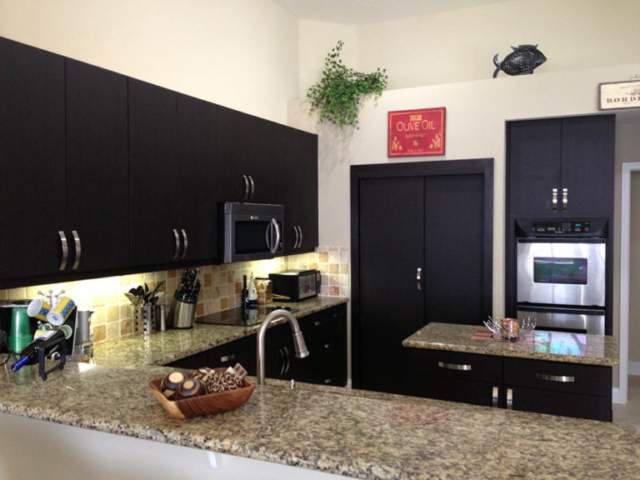 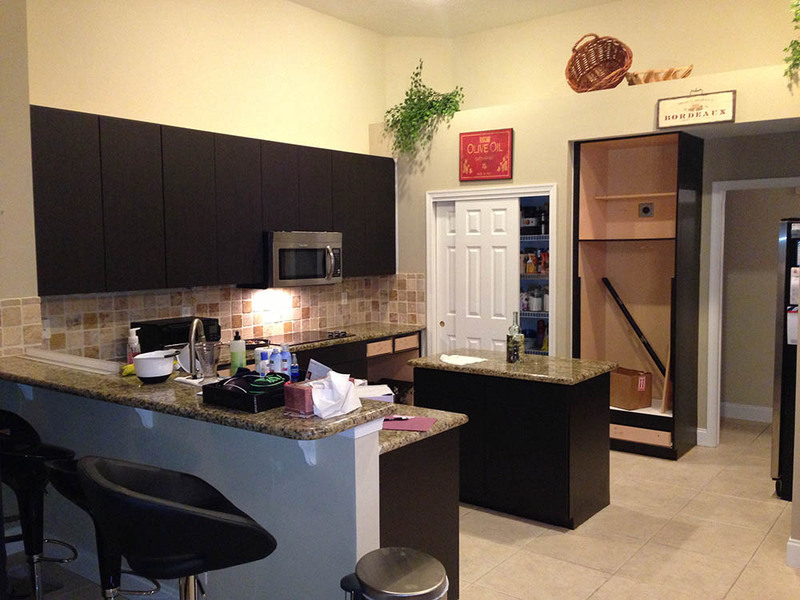 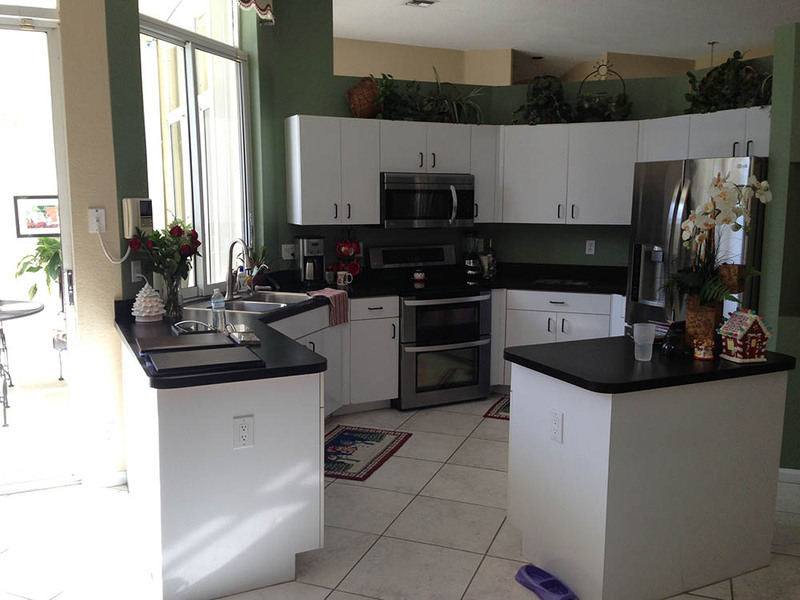 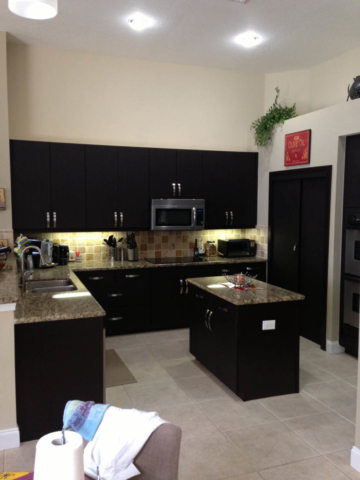 A kitchen renovation that transforms this plane Jane white & black kitchen into a warm and inviting center of the home! 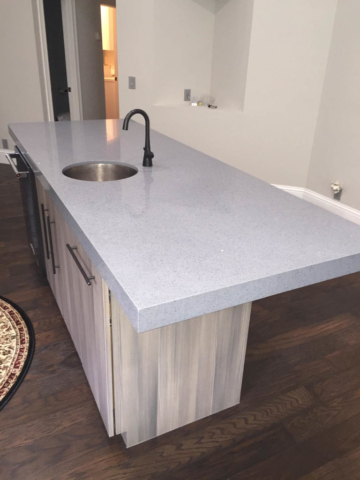 First, we added a custom-cut angled granite countertop. 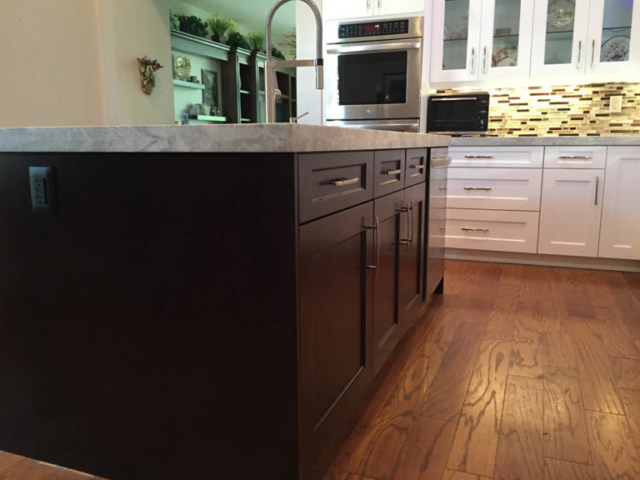 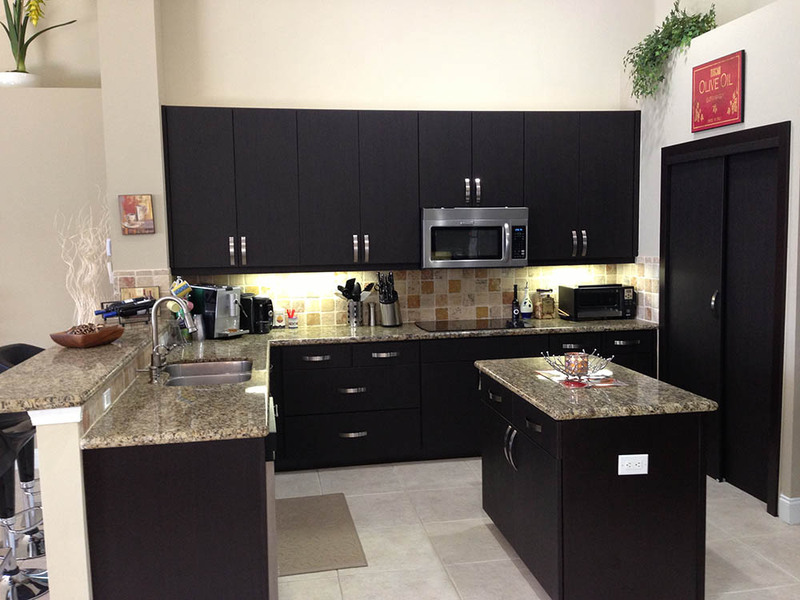 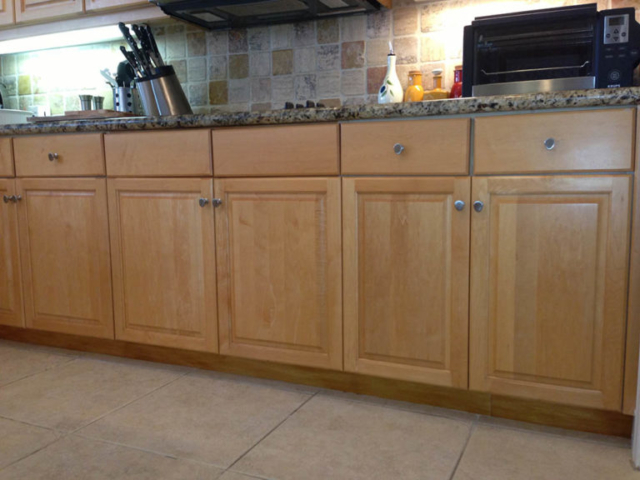 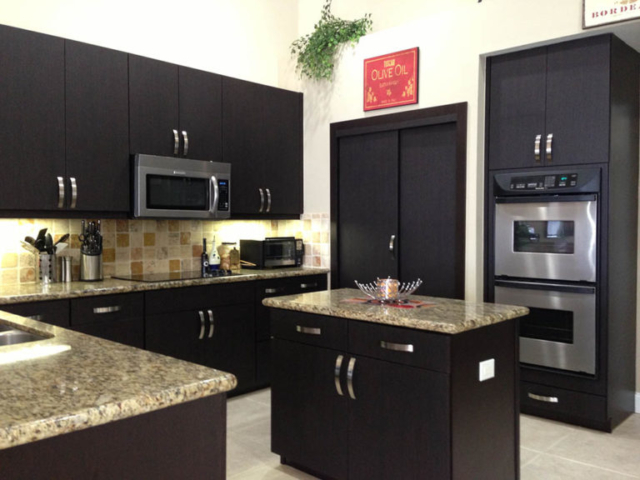 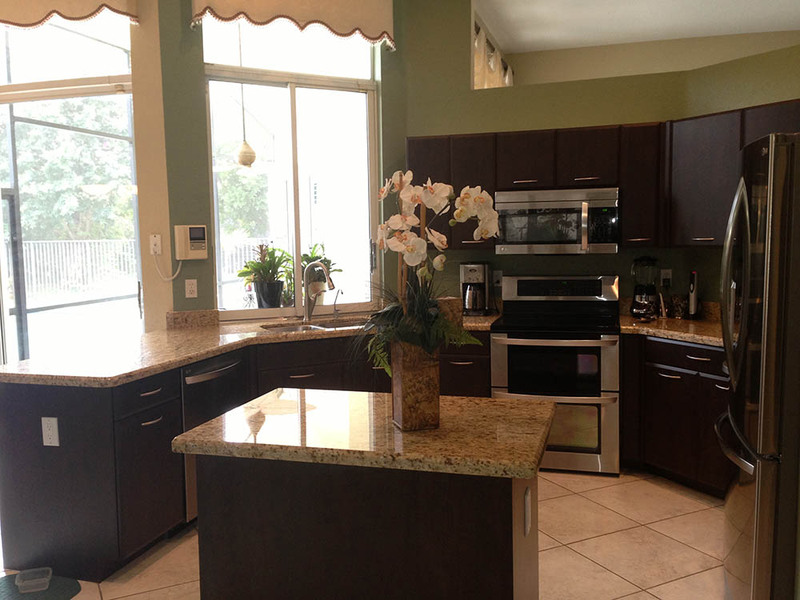 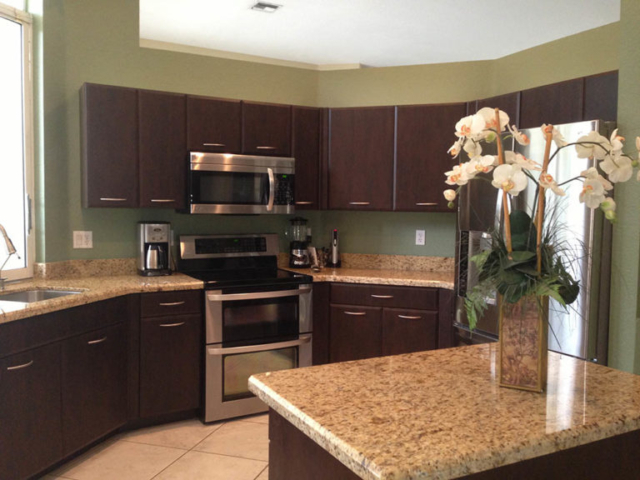 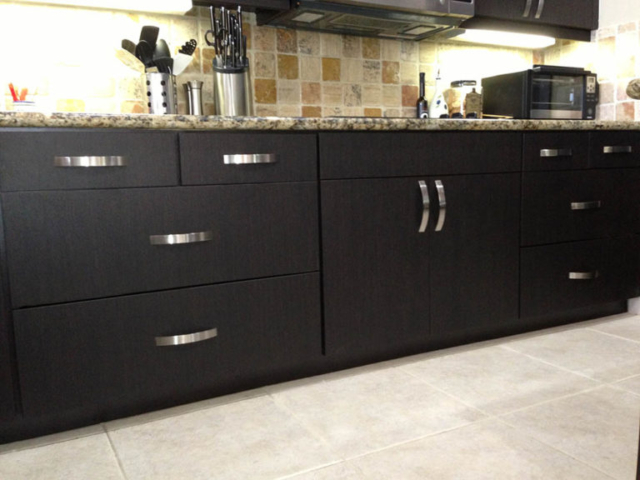 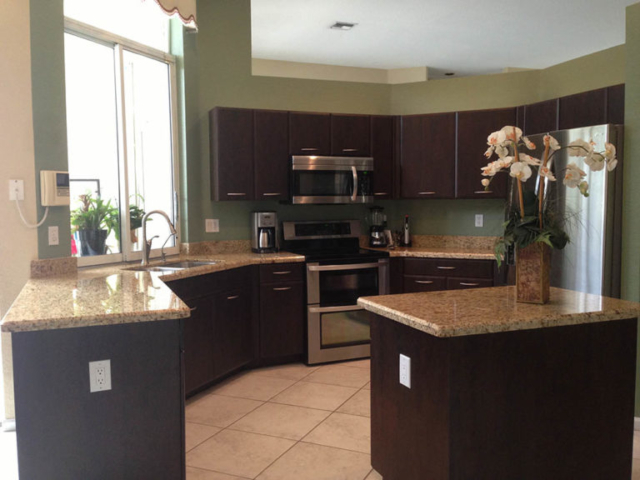 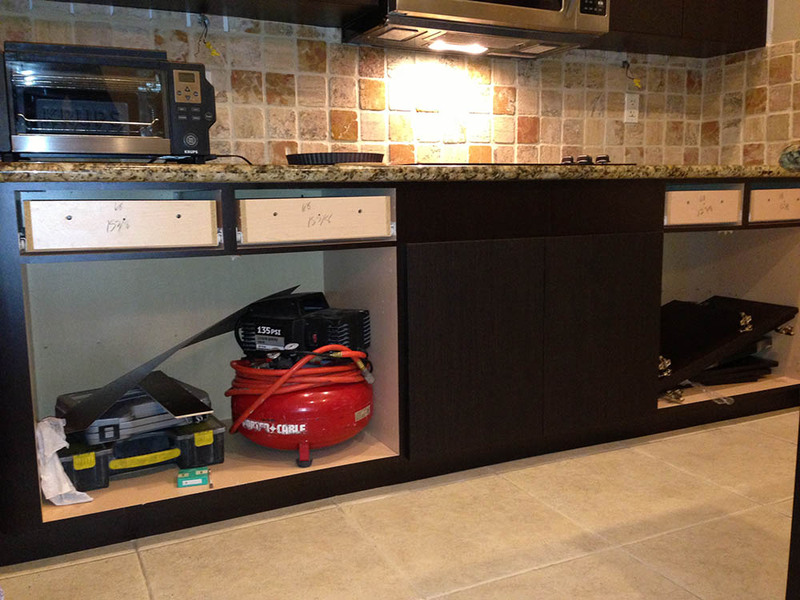 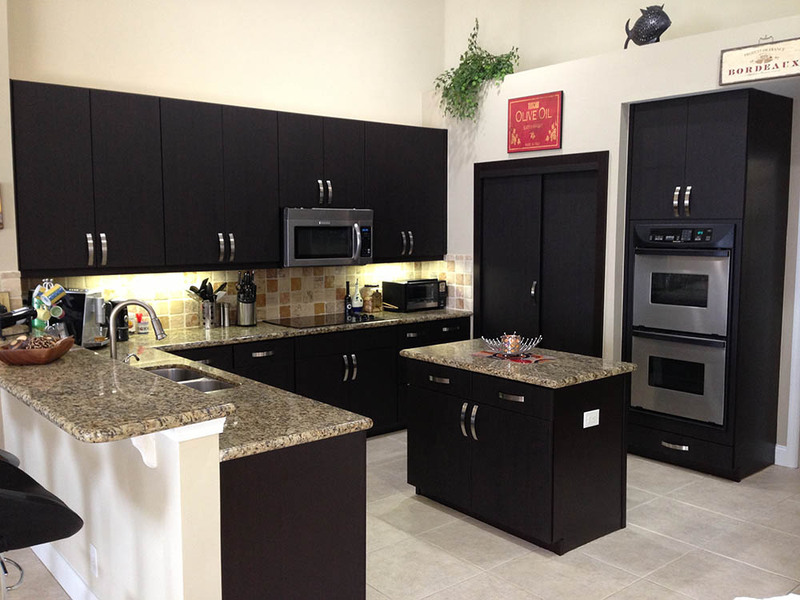 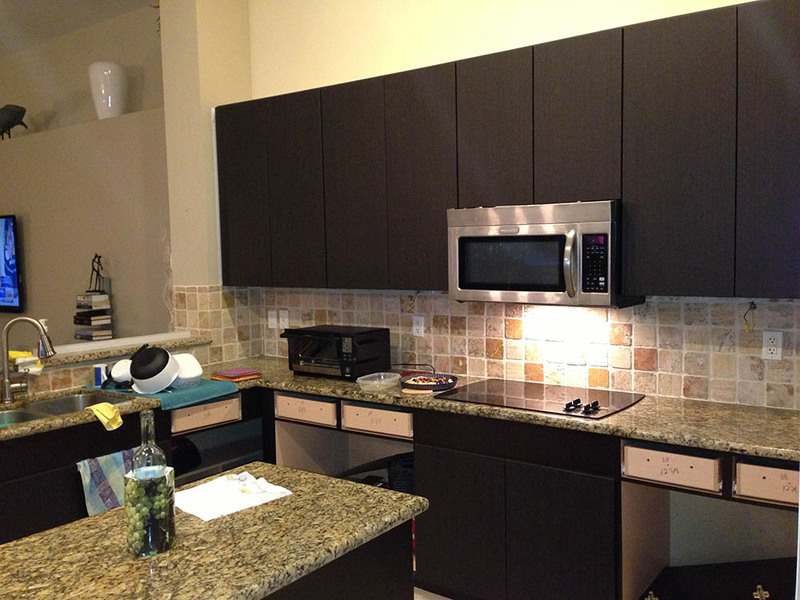 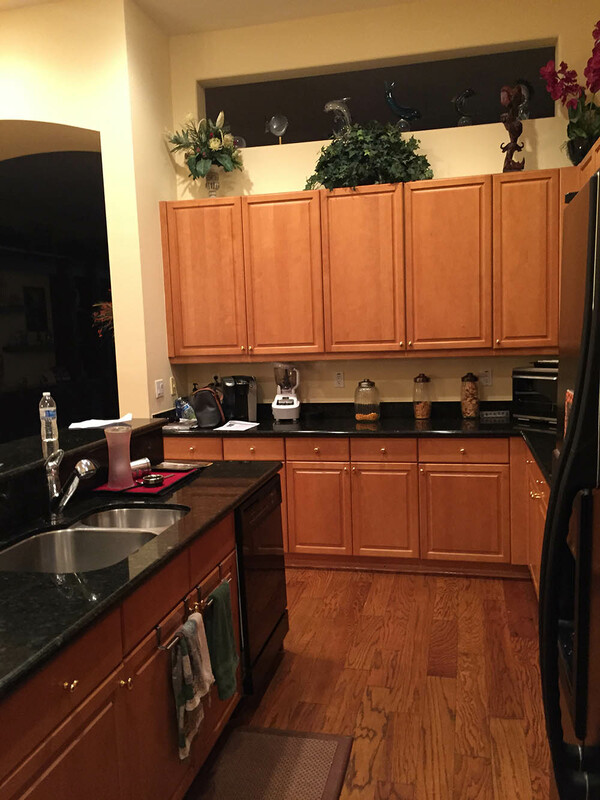 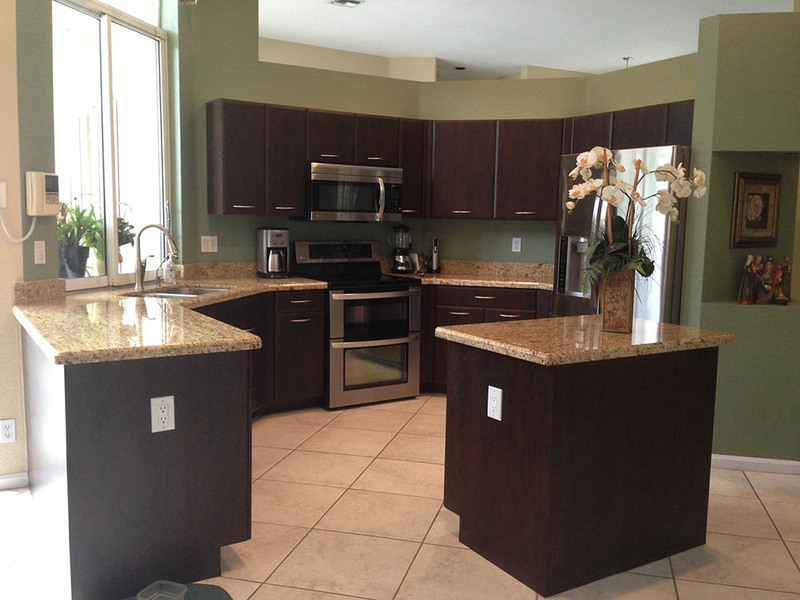 Then we refaced all the cabinets with a beautiful warm chocolate wood grain.